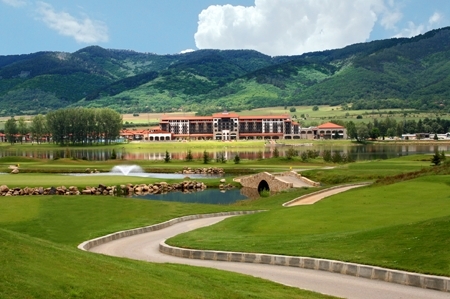 The 2014 UniCredit PGA Professional Championship of Europe is to be held for a fourth time at the stunning Pravets Golf & Spa Resort, Bulgaria, from 15 - 18 October. The staging of this European Club Professionals' flagship event comes at the end of one the busiest golf season Pravets has had to date. Pravets is quickly becoming one of the favourite "event venues" for major European golf competitions and by the end of this season, Pravets will have hosted three of the European Golf Association's most significant tournaments - the Mid-Amateur Championships, the Senior Men’s Team Championships hosted by the Bulgarian Golf Association and the Men’s Team Championships. Alan Rogut, Braemar's Director of Golf at Pravets said “we are delighted to have the confidence of organisations such as the PGAs of Europe, Bulgarian Golf Association and European Golf Association, to host and deliver their highest profile events. It is an honour to host both professional and amateur golfers from all across Europe and showcase what Bulgarian Golf has to offer”. Keith Haslam, the Managing Director of Braemar Golf added “Pravets has had an amazing year hosting so many high profile events. Much credit must go to event sponsors such as UniCredit for continuing their support of the PGA Professional Championship of Europe, along with the owners, Alan and the whole Pravets team who put on a fantastic event and welcome”.